XV-5050, Digital Synth Rack/Sound Module from Roland. There's good sounds, but there's nothing special, it's always the same waveforms between various Roland I ssay, which changes between machines is converters and effects, and those are the grand, better a 5080 XV. I used 6 months, what I liked least is the screen, menus, effects. It's worth 400 euros, no more! Trs prsentation nice tool. Screen a little small and lightweight lack of visibility can rgler even if the contrast (may be I need glasses!). MODEL aisment rack. Some buttons are a bit small and the still empty combinations not always remember (like shift + alt + ctrl) but it must be accder the multiple functions of the non bte? USB port and headphone faade is good. Two expansion cards can be grafted into the abdomen and the list of these cards is consquente although I do not know the quality. Three MIDI IN OUT THROUGH. Four standard output jack. An S / P DIF optical and coaxial format the rear. 1083 diffrent waveforms corresponding to the instruments. 10 banks of 128 patches (including GM2). 10 rhythm kits constitus groups of four sets 2 Different. Not too complicated to use, it MRIT to consider it a time to exploit all its possibilities. The edition of the sounds takes time if you do not pass through the software. The manual is comprehensive and clear enough. Deferrals can link to other pages or other topics and find information fast enough research. Small error confirms the allocation of numbers to banks G and H in the manual. But we quickly found the solution. The sounds are good overall. Ism lacks a little in the brass but it is known that certain instruments be more difficult than others reproduce (or the number of samples is not large enough). The effects are numerous and effective. Be careful not to put all (the temptation)! Some layers are in hell and excite the imagination. Piano just faiblote. Ralistes low and few. Guitars (although I am guitar) not bad at all. All this is not real but sounds Obviously instruments will complete without ridiculous poses a model already well on an instrument rel. The drum kits, as the many, to become INTERESTED ism. The MODEL suprieur me t if the deprecated function Sampling is not actually used full wisely. The Difference in price between the two devices do not parat justified in view of the sound diffrence. I am still happy with my choice despite the small dtails and convinced that this is not the tool that made the man but his imagination to get the most out of the machine. To do this ... as for the good cif ... it takes time. 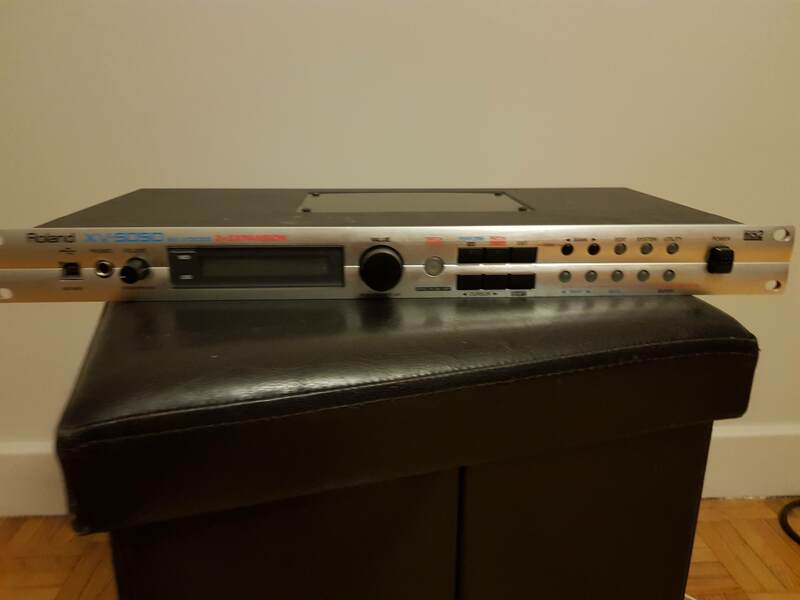 Dot with a beautiful gray dress, the Roland XV-5050 Submitted plutt well. Rackable 1U. It is trslger, may be even a bit too because if there is no quick fix was to dplacer the flick of a button. 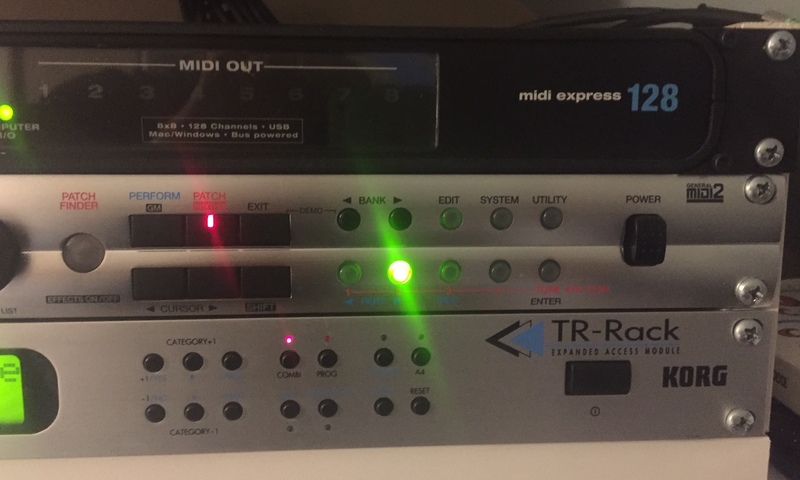 Fortunately, the XV-Editor software supplied allows the Roland "edition complte sounds without touching the expander as long as we possde a computer. The sound library (after the great ERRF, the XV-5080) is quite standard since it has 8 banks (AH) of 128 sounds each (1024 sounds) plus 16 drum kits. 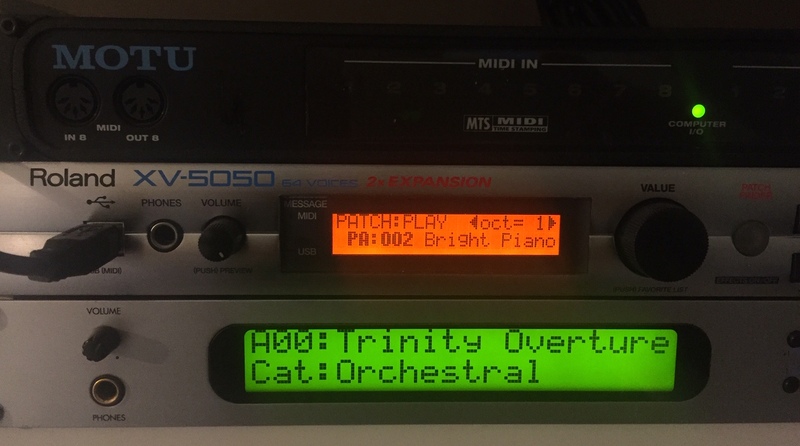 If you do not have enough, you can always add 2 SRX expansion cards ddies to pianos, orchestras, drums ... and so on. is up to 192MB of memory waveform. In short, plenty to do! The expander is multi-timbtral 16 parts and the maximum polyphony is 64 voices. Finally you can connect it directly to the computer's USB port thanks what can happen cord noon. The XV-5050 offers two modes principeaux: "Patch" and "Performance". If the mode "Patch" is a MODEL of ergonomics (ACCS was the sounds or by their numro catgories or by instruments), a "Performance" is a bit more Drout because you need to make some compromises in effect utiliss (3 max + 1 + 1 reverb chorus). It said so much, this restriction exists on virtually all of the synths and march empcher you should not work in multi-timbral. XV-Editor is very practical to navigate the menus because the internal screen is really too small. The computer is almost essential! The sounds of the XV-5050 are excellent. A vocation gnraliste, they cover all genres and a section bnficient "effects" of the compltes (90 DIFFERENT kinds). Mention specially for guitars (acoustic and elctriques) simply Hallucinatie, as well as the sounds of the orchestra. Techno lovers should also find happiness even if this may not be its strong point. The batteries are not great but trs diversified and altogether convincing. I use the XV-5050 since 2 months but I am fully satisfied. My last one Roland Sound Canvas and silent progress since effectus are impressive. You have the power of the XV-5080 (the sampling and less) for an unbeatable qualitprix (925). Perfect complment another synth it will be a fair bit as the only sound source, a "performance" as a bit limited.